We designed an online store tailored to sell the unique baby gift offered by Sugar Babies Gifts. Sharon takes baby onesies and washcloths and turns them into beautiful cupcakes, roll cakes, and lollipops. 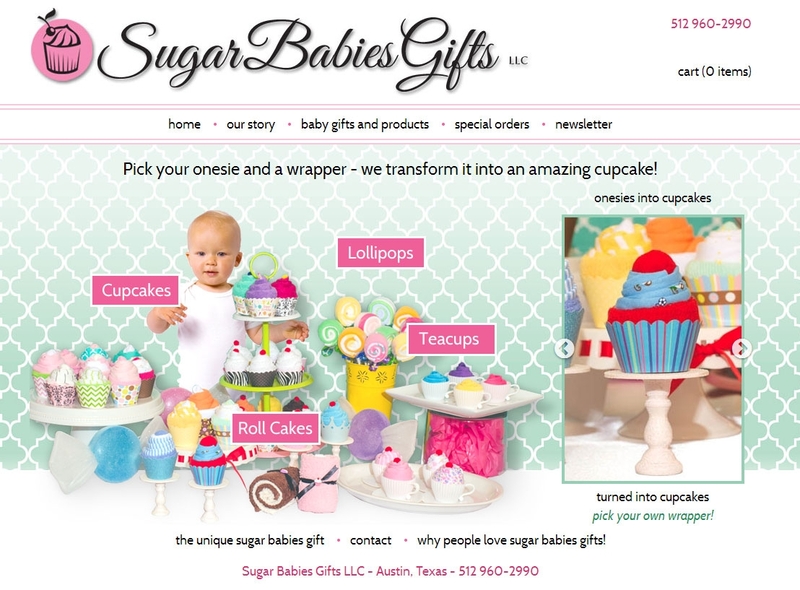 Her unique creations can be purchased as Sugar Babies Gifts website.